This is a gents Zodiac hermetic watch. 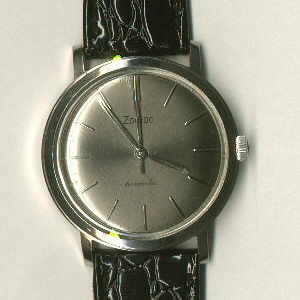 It has a yellow plated water resistant case, with steel screw down back. 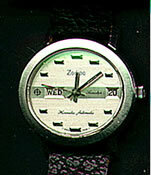 It has a 17 jewel regular wind movement. 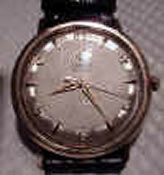 Watch recently professionally serviced, it is very clean and runs great. 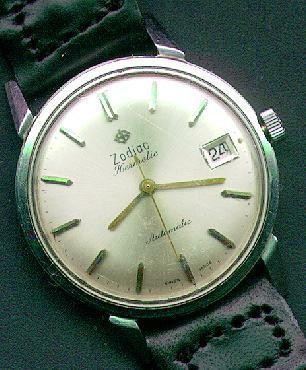 This one says "Zodiac" incoSechil(or t), then HERMETIC AND ANTIMAGNETIC. 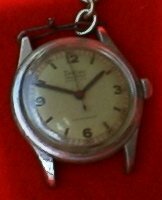 On the back it says85687. This one is not running. 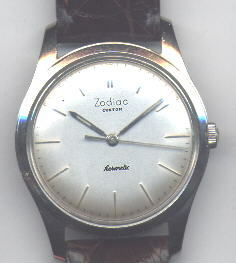 Very nice men's Zodiac watch. Nice two tone silver and white dial and clean crystal. 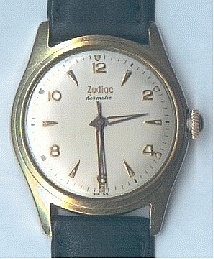 Gold filled case with steel screw on back.17 jewel manual wind movement and keeps excellent time. Nothing better than absolute mint, new old stock. 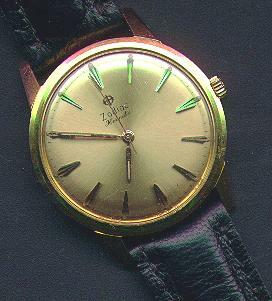 The mint, original butterscotch, stitched leather band is marked Zodiac, and the original buckle is hallmarked, and gold filled. 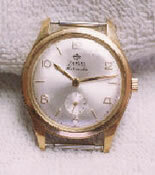 40mm lug to lug, the pinkish gold filled case is mint. 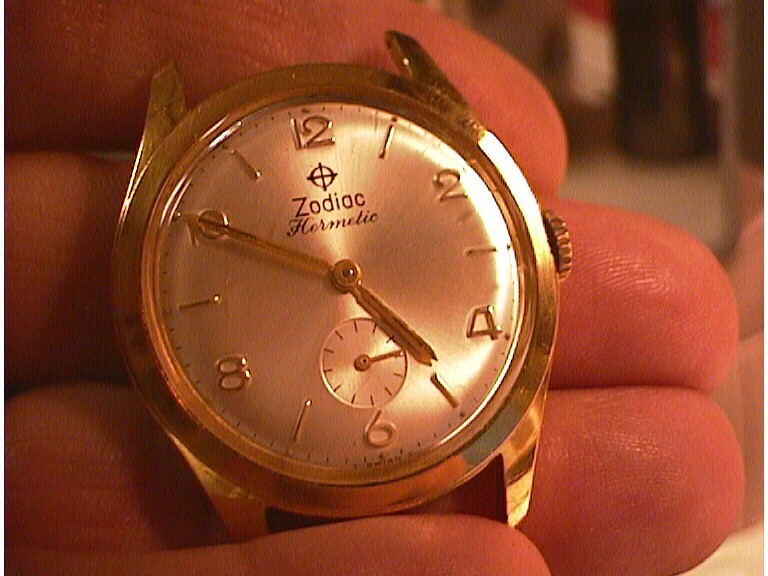 The dial, egg shell colored, is marked Zodiac Calendar, center second, marked Hermetic at 6 0'clock. 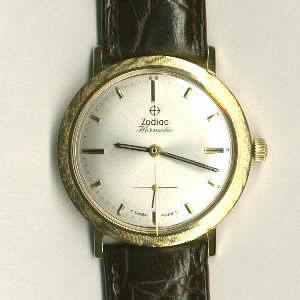 Second dots in gold around the outer dial, cyclops date window. Wind up, keeping perfect time. 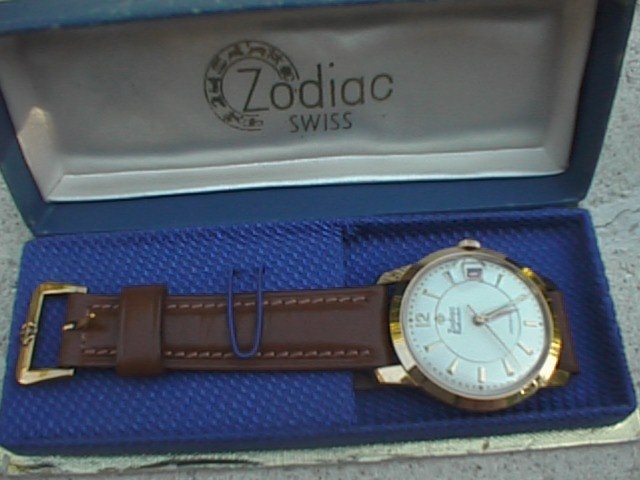 The box is a blue outer fabric, lined in white acetate, Zodiac logo in gold. 17 jewel movement is pristine.